Immediately after the Indian Ocean tsunami struck in December 2004, emergency response officials worldwide knew a disaster of unprecedented magnitude had occurred, but they struggled to determine the full scope of its impact. 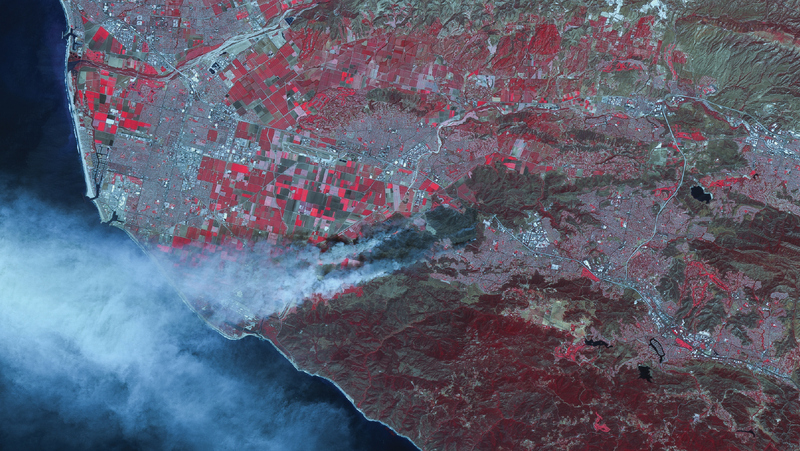 In just a week, a newly formed UK company called DMC International Imaging (DMCii) provided a complete picture of the devastation in the form of a regional image mosaic captured by a constellation of Earth observation satellites. click here “We imaged the entire perimeter of the Indian Ocean in six to seven days using as many satellites as we could,” said Paul Stephens, DMCii director of sales and marketing. http://rainypass.com/faq/ order now Stephens explained that DMCii had been created earlier that same year with the intent of coordinating the activities of the Disaster Monitoring Constellation, a consortium of four satellites at the time. The small satellites had been built and launched by DMCii’s parent company, Surrey Satellite Technology Ltd.
cheap generic viagra mail order pharmacy (SSTL, Guildford, England), as a coordinated constellation that could work together when needed to provide daily repeat imaging over the entire globe. After instantaneous events, such as earthquakes, a satellite is never more than 24 hours away from assessing the damage. In rapidly unfolding situations like this year’s Oklahoma tornado and the Colorado wildfires, multiple satellites can track the change daily. As occurred in 2004, a constellation can provide multi-image synoptic coverage of a large geographic region in a short period of time. buy now In less than a decade, the constellation has evolved in both capability and function, its success underscored by the launch of a second generation of satellites. Today, four of the original DMC satellites have been retired, replaced by next-generation Surrey-built satellites with improved spatial resolution and longer imaging swaths. Under DMCii’s management, commercial applications of the imagery have expanded to include agriculture, forestry, land planning, and environmental monitoring. While the Disaster Monitoring Constellation is still best known for providing a steady stream of imagery to emergency first responders worldwide through the International Charter for Space and Major Disasters, Surrey believes the constellation is fundamentally changing the economics of space. At a persatellite development cost of just $13 million, Surrey built the entire five-satellite second-generation constellation for a fraction of the cost of the recently launched $855 million Landsat 8. But the price tag is just part of the DMC success story, according to Dr. John Paffett, CEO of Surrey Satellite Technology US (SST-US), a Colorado-based subsidiary established by Surrey to make its small satellite technology and business practices directly available in the United States. “It’s the unique business model of the constellation that makes it commercially viable,” said Paffett. Mount Hood smoking volcano, Oregon, U.S., captured Sept. 3, 2011. What’s different about the Disaster Monitoring Constellation is that only one of its satellites, UK-DMC2, is owned by DMCii. The others were each purchased from Surrey and are operated by organizations in other countries, including Spain and Nigeria. By investing in a satellite and ground receiving capability, each organization became a member of the DMC consortium, leveraging the advantages of multiple satellites both in terms of shared image data and joint revenue streams. The business model is purposely flexible so that each owner has autonomy but with the option of a shared commercial revenue stream if desired. The only requirement is participation in the International Charter, with DMCii acting as the manager for the constellation. Its U.K. ground station can directly task and download data from any of the satellites. 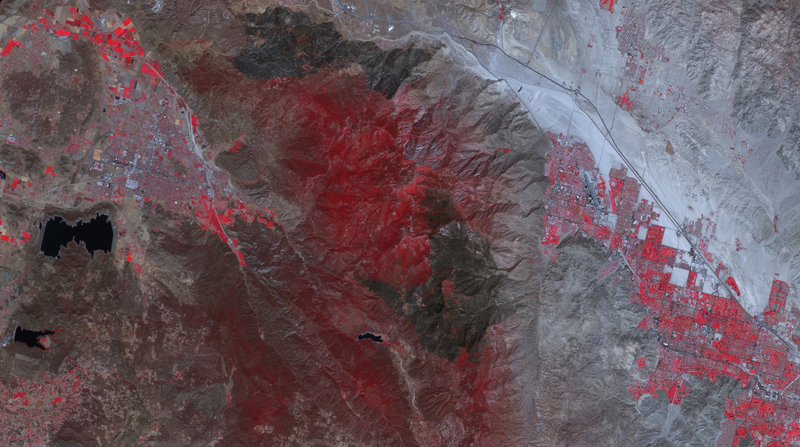 In times of disasters, imagery from the satellites may be made available at no charge to emergency first responders through a well-established distribution network. Otherwise, the consortium members are free to do what they wish with the image data collected by their satellite, and they are able to share data with the other operators. Most of the satellites are government funded, and the imagery is provided by the operating organization directly to in-country public and private entities for use in natural resource management, monitoring, and planning programs. Nigeria has primarily limited its data applications to non-commercial projects internally. Spain, however, has taken advantage of the commercial option in the consortium structure to set up an international sales channel through a private remote sensing company called Deimos Imaging. The Spanish firm markets and distributes raw and enhanced image products from the Deimos-1 satellite worldwide—as there is no geo- graphic exclusivity assigned to consortium members. As noted, the rapid revisit and synoptic coverage of a coordinated satellite constellation have significant value in both commercial and government programs related to a variety of applications in nearly every country on Earth. DMCii has already arranged long-term contracts with the United States, Australia, Brazil, and the Netherlands to receive image data from the satellites on regular schedules. Paffett at SST-US says there is no exaggeration to the claim that the financially attractive DMC business model has helped to democratize space for countries that might not otherwise be involved. Spain, for instance, has become a player in the international imagery market. And Nigeria, through its National Space Research & Development Agency (NASRDA), is now a sophisticated user of Earth observation technology, particularly for natural resource management. In the first constellation, NASRDA saw a need and use for imagery but didn’t anticipate it would become a revenue stream, Paffett explained. With DMCii selling image data for NASRDA, its membership brought money back into Nigeria that helped further develop its programs. For the sake of continuity, all initial DMC satellites used the Surrey SSTL-100 series spacecraft, carrying similar three-band mid-resolution imaging sensors. As an option, however, the satellite can accommodate an additional instrument, as is the case with the DMCii and Nigerian spacecraft. 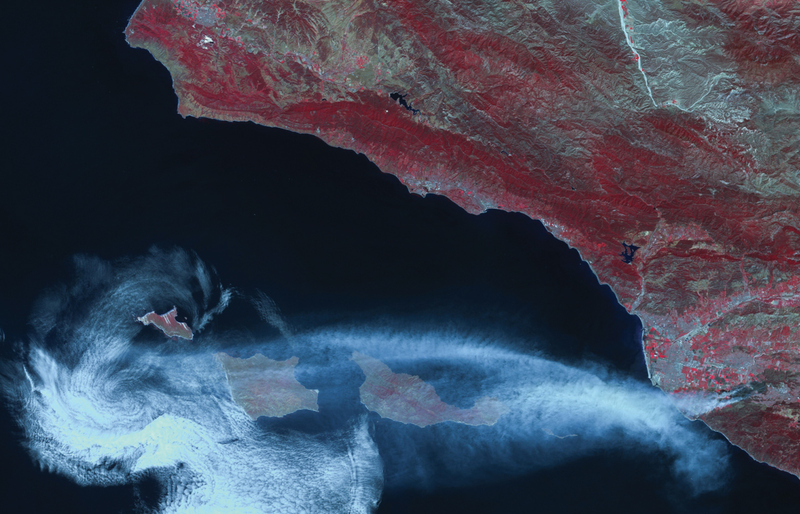 California Wildfires, USA, imaged May 2, 2013. All images are UK-DMC2 satellite images, 2011, SSTL, all rights reserved, supplied by DMCii. Surrey Satellite enjoys a 25-year track record of 41 successful small satellite launches, including Low- Earth Orbit Earth observation and communications spacecraft, as well as Medium-Earth Orbit navigation and an ongoing development of Geostationary communication satellites. In addition to its innovative approach to small satellite technology, the company credits its longevity to a willingness to work with customers in developing satellite programs that are viable from a business perspective. “That’s how we arrived at the constellation business model…the concept evolved and will continue to evolve in response to market changes,” said Paffett. Paffett believes the constellation model could be a solution to the global economic situation where budget limitations are forcing governments, especially the United States, to take a second look at major expenditures like satellite programs. The U.S. budgetary situation is particularly acute because it has launched tremendously expensive navigation, weather, and Earth observation satellites that have become utilities the rest of the world relies upon at little or no cost. He adds that not all satellites in a given constellation have to be identical for it to be effective. In fact, participants may be more willing to engage in a consortium if they will have a variety of satellite functionality at their disposal to meet multiple needs. Along these lines, Surrey is launching an all-weather synthetic aperture radar satellite called NovaSAR in 2015 that will participate in the DMC constellation. 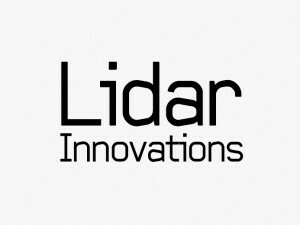 With funding from the UK government and industry partners, the NovaSAR radar sensor will complement the optical sensors in the existing constellation. 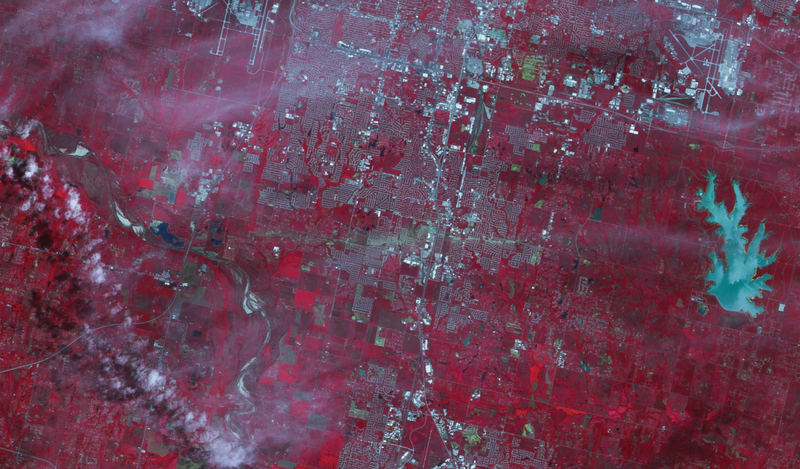 Despite the success of the DMC business model in helping Earth observation organizations stretch their investment dollars further than anyone imagined, Surrey already sees the need to adopt a modified business model to accommodate a different type of organization. 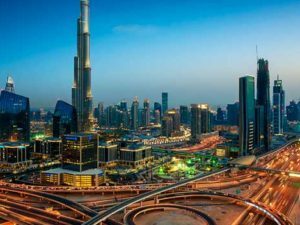 Surrey has already moved in this direction offering managed services in which it procures advance agreements from clients to purchase time on planned satellites. Surrey then fronts the development and launch costs in anticipation of the future revenue stream. 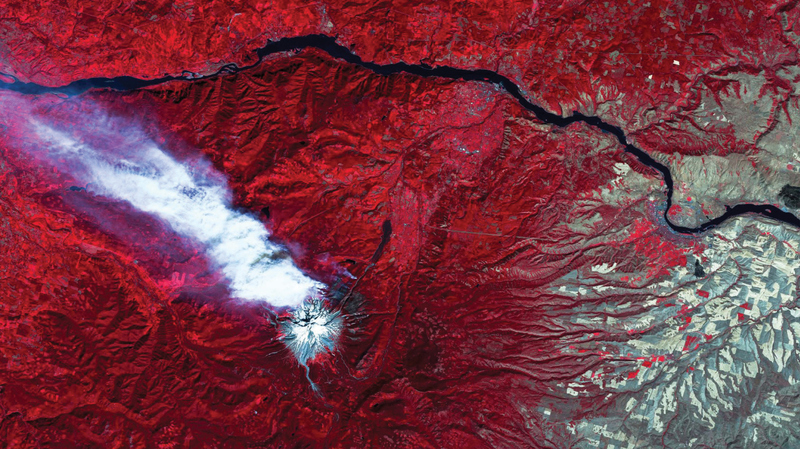 The company currently has three 1-meter-resolution Earth observation satellites under construction with 100 percent of their imaging capacity leased to customers in advance, with additional capacity sales under discussion. “For government agencies that have no procurement mechanism in place to buy a satellite, leased service is a fast and easy alternative that is practical for remote sensing, communications, or navigation,” said Paffett, adding that this model has long been used by telephone companies and television networks, which lease signal relay capabilities on telecommunications satellites. Paffett says that Surrey has been successful with the DMC constellation business model and managed services concept because both are fundamentally focused on commercial viability—offering the best value solution at the right price. And this may require challenging the traditional operational and technical requirements of big satellite programs.